The Houlton Recreation Department is teaming up with the Northern Maine Lacrosse Organization to offer a co-ed youth lacrosse program to the greater Houlton area youth. HOULTON, Maine — The Houlton Recreation Department is teaming up with the Northern Maine Lacrosse Organization to offer a co-ed youth lacrosse program to the greater Houlton area youth. 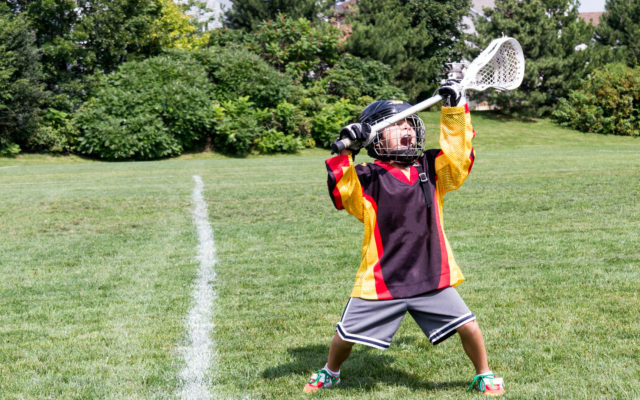 This program will introduce youth to lacrosse through drills, skills, and games. Youths in grades pre-K to 4 are invited to come play. The program will be held at the Houlton Recreation Department starting on Monday, April 29 and run for 5 weeks. Times and age groups are as follows: grades Pre-K and K, 4-4:45 p.m.; Grades 1-2, 5-5:45 p.m.; and grades 3-4, 6-6:45 p.m. The cost is $25 for Houlton residents and $35 for non-Houlton residents. Advanced registration is required. To register, call the Recreation Department at 532-1310 by April 26. Space is limited to 30 youth per age group. Equipment will be provided. Children are asked to wear comfortable clothes, sneakers and to bring a water bottle. For any other questions, contact the Rec Dept. at 532-1310.